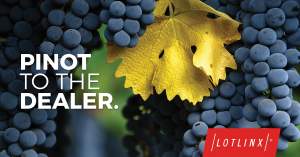 At This Can’t-Miss Event, You’ll Hear from the Industry’s Best, and Taste Napa’s Finest. The Digital Marketing Strategies Conference is almost here, and it’s shaping up to be a can’t-miss event for progressive dealers who want to dominate in today’s fast-paced digital world. Scheduled for May 21-23, the event will be held at the beautiful Marriott Resort and Spa in Napa Valley, California. The agenda features keynotes from some of the industry’s most prominent thought leaders, as well as informative workshops and plenty of networking opportunities. Of course, there’s plenty of fun on the agenda, as well. We’re pleased to sponsor the DMSC Wine Tasting Tour, on Sunday, May 21. This exclusive event will provide attendees with the chance to visit some of Napa’s most renowned wineries, and sample world-class offerings. It’s sure to be a memorable event. You can learn more about the DMSC here.